To mark the 2nd Anniversary of the formation of JOCCIMA from inception on April 2, 2016 to April 2, 2018, please find the following fact-file on JOCCIMA. 1.0. Name of Organisation: Jos Chamber of Commerce, Industry, Mines & Agriculture (JOCCIMA). 2.0. JOCCIMA Founded By: Dr. Idris Joseph Nubuya. 3. 0. JOCCIMA Founded On: April 2, 2016. 7.1.Provide Business Information for Individuals, Enterprises and Corporate Bodies. 7.2. Provide Business Promotion, Protection and Development. 7.3. Provide Letters of Recommendation to Domestic/International Financial Institutions, Banks, Embassies and Governments. 7.4. Establish Contacts for Joint Business Relationships in Nigeria and Globally. 7.5. Organise Business & Investment Enlightenment Seminars and Workshops. 7.6. Organise Mini-Exhibitions/Trade Fairs, Business Delegations to States in Nigeria and Foreign Countries. 7.7. Forum for Trade/Sector Groups to Interface on the Way Forward. 7.8. Library of Products - showcase goods and services of members/business community. 7.9. Affiliation with a few Chambers of Commerce and Industry worldwide. 7.10. Business Cooperation, Collaboration and Networking ...and many more! In order to have an enabling forum for interactions and meaningful interface among members of the Jos Chamber of Commerce and Industry (JOCCIMA) and business community in general, JOCCIMA has ten (10) Sector/Trade Groups pertinent to businesses, and the State/National Economy. 8.3. Small & Medium Enterprises (SMEs). 8.4. Tourism, Hospitality & Entertainment Industry. 8.5. Manufacturers, Import/Export (Shippers) Group. 8.7. Commerce & Trade Group. 8.8. Banking & Financial Institutions. 8.9. Information & Communication Technology (ICT). 8.10. Professionals & Consultants Group. ACHIEVEMENTS/SUCCESSES RECORDED BY JOCCIMA SO FAR: April 2016 to April 2018.
i. JOCCIMA is the 1st Chamber of Commerce to be the 2nd in Plateau State, and indeed 2nd Chamber of Commerce among the entire 19 Northern States Chambers of Commerce in Nigeria. ii. JOCCIMA is the 1st Chamber of Commerce in Plateau State to be organising/staging Trade Fairs outside the Capital City of the State. JOCCIMA organised the 1st Trade Fair with the Theme: ‘Local Governments as Agents of Change and Grassroots Development’ which was successfully held in the Shendam Mini-Stadium, Shendam, Plateau State in collaboration with Shendam Local Government Council (LGC) from February 18 to March 4, 2017. Hon. Alex Na'antuam was the Chairman of Shendam LGC, and Hon. Kenneth​ was the Secretary of the Council. His Royal Highness, The Long Ganai Shendam, HRH Miskoom Martin Shaldas 111 was the Royal Father of the Occasion. Noteworthy: Admission to the Trade Fair was FREE. JOCCIMA organised the 2nd Trade Fair with the Theme: ‘Public-Private Partnership (PPP) Towards Accelerated Development of Plateau State’ which was successfully held @ the Mangu Mini-Stadium, Mangu, Plateau State from Saturday 9th to Tuesday 19th December, 2017. The Trade Fair was in collaboration with Mangu LGC; when Hon. Engr. Danjuma Haruna was the Chairman of Mangu LGC and Hon. Sarpiya Irmiya Yaro was the Secretary of the Council. His Royal Highness, The Mishkaham Mwaghavul and Chairman, Mangu LGA Traditional Council was the Royal Father of the Occasion. HRH The Sum Pyem gave the Goodwill Message on behalf of HRH Mishkaham Mwaghavul whilst other Royal Fathers from Mangu LGA graced the Opening Ceremony of the Trade Fair which took place on Wednesday 13th December, 2017.
and the German International Development Cooperation also known as German Cooperation (GIZ)-SEDIN, Plateau State Office prominently participated and gave FREE PAVILION to SMES that participated in the Mangu Trade Fair 2017.
iii. 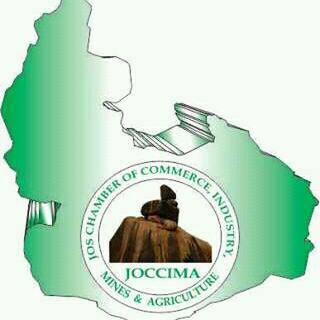 JOCCIMA is the 1st Chamber of Commerce in Plateau State and possibly in Nigeria to be organising Trade Fairs without charging gate fees. This is a paradigm shift of ensuring unfettered access of the general public/visitors to the Trade Fairs, and for the Exhibitors/Participants to optimally benefit from the JOCCIMA Trade Fairs. c. From Institute of Strategic Customer Service and Trade Management (ICSTM). Lagos: Alh. Nurudeen A. Idris, Zonal Director of NTA, Network Centre who is also a Fellow of ICSTM represented Mr. (now Dr.) Akinsanya Babatunde FCSTM, the President/Chairman of Council of the Institute (ICSTM). The Distinguished Guest of Honour @ the JOCCIMA 1st AGM was Hon. Alh. Ahmad Muhammad Nazif, the Honourable Commissioner of Information and Communication, Plateau State. Postscript: In view of the innumerable benefits from JOCCIMA, we encourage You to be a member of JOCCIMA. Core Values Of Upholding Business Best Practices. A... Viable Platform For The Promotion And Development Of Your Business. ... TO BE CONTINUED IN PART 2.